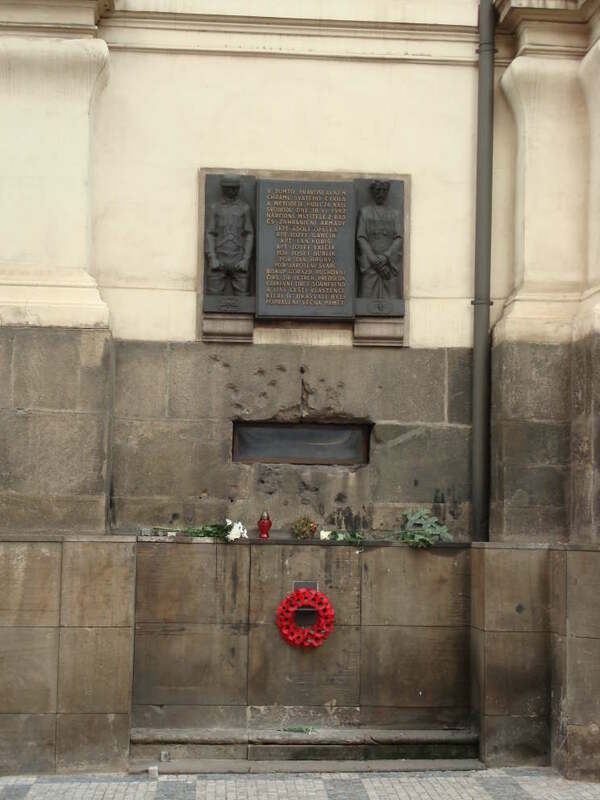 A memorial to the Czech Free Army team that assassinated SS-Obergruppenführer Rienhard T. E. Heydrich in May of 1942. The seven men, after the attack, took refuge in a safe house and later moved to the church. 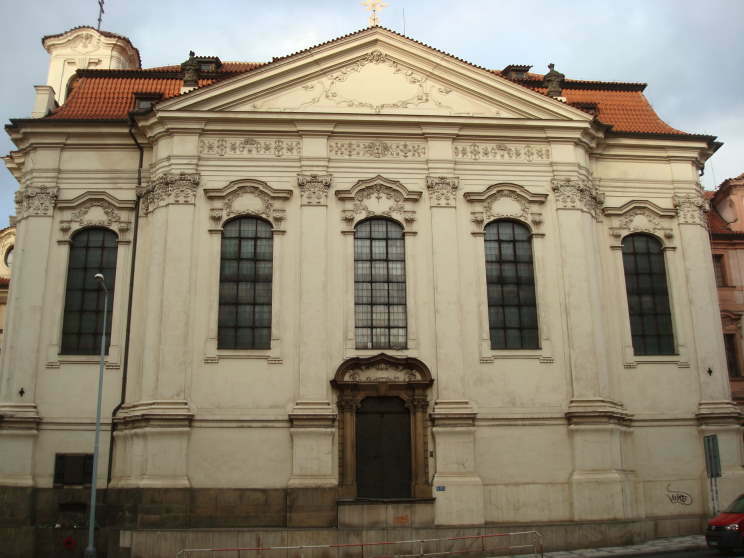 The team was betrayed and on June 18, 1942 the church was attacked by SS troops, all seven men were either killed or committed suicide in the church. Bishop Gorazd, the priests and several other senior leaders of the church were arrested on June 27 and executed on Sept. 4, 1942. 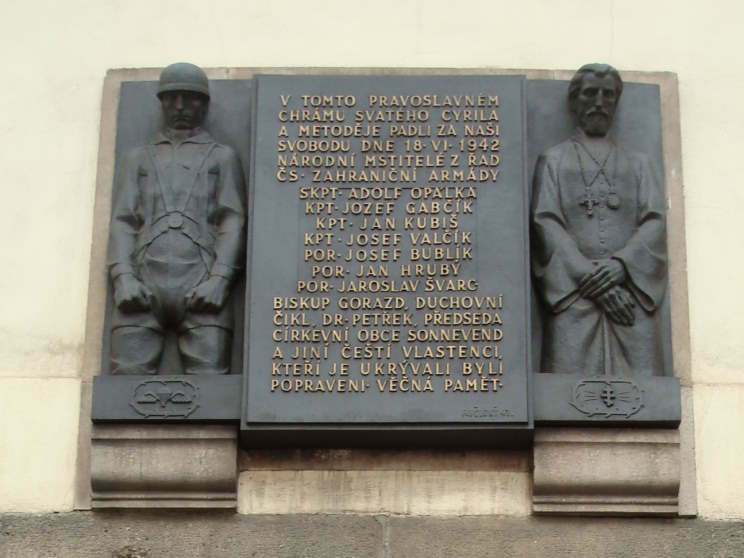 Close-up of the plaque, it reads; In this orthodox church of Saints Cyril and Methodius were killed for our freedom on 18.6.1942 national avengers from the Czechoslovak free army". The names of the Czech Army team and the church men are listed below. 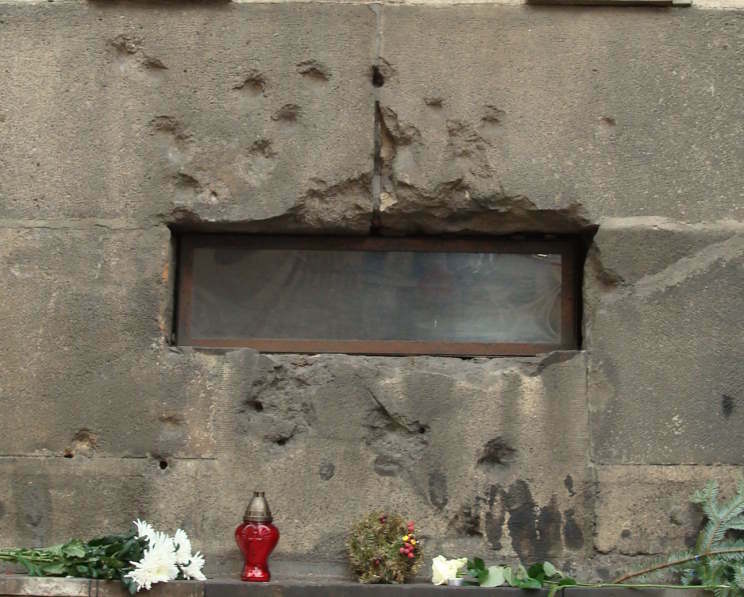 Bullet holes still remain on the church walls, one can also see that people still visit the site and leave tributes to the men who died. The Church of Saints Cyril and Methodius, the memorial can be seen at left. Two memorial stones added to the site in 2010 name those who were arrested and killed at Mauthausen concentration camp for assisting the team that killed Heydrich. 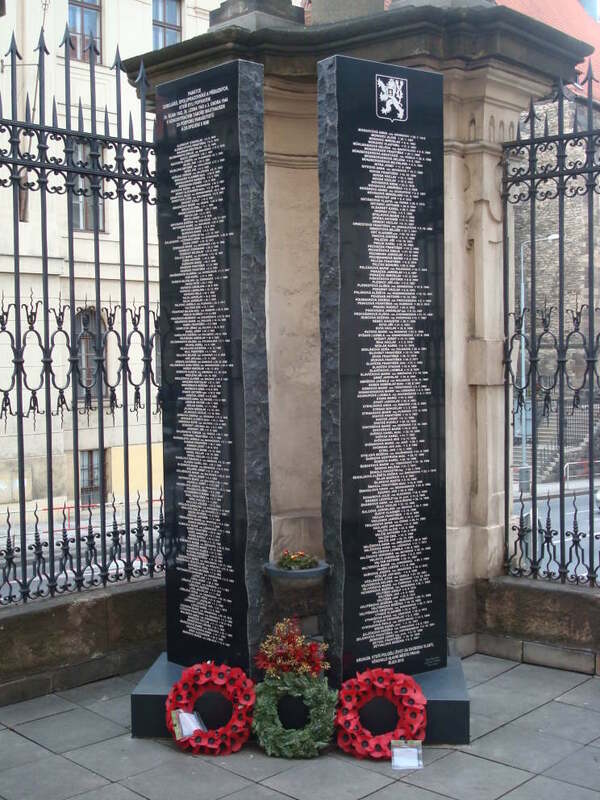 The bottom of the right stone reads; To the heroes who laid down their lives for the freedom of the country, presented by the capital city Prague, October 2010.